Mullen High School in Denver, Colorado, has announced the appointment of Raul Cardenas, Jr., Ph.D., as its new president and chief executive officer, effective June 1, 2019. 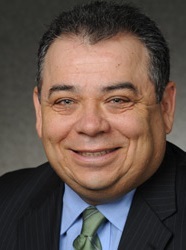 Dr. Cardenas most recently served as a vice chancellor for Student Affairs at the University of Colorado Denver. Prior experience in his nearly 30 years of secondary and collegiate educational leadership career includes founder and principal of two charter schools for disadvantaged students in Phoenix, Arizona, as well as tenures at Arizona State University, Tempe; Colorado State University, Fort Collins; and the University of Northern Colorado, Greeley.